My schoolmate Pushkar, who is taking care of this blog with Max and with whom I shared the possibility to take part at the international environmental symposium I am going to talk about, asked me to write down a short overview of our Swedish experience. Well, if I have to talk about my impressions, feelings and emotions about the EuroEnviro Meeting, I would have a lot to say. First of all, for me going back to Sweden awakened all the good memories I treasure from my semester spent in a nice and small Swedish town for a study period. I love Sweden and everything the country offers, including the snow and the cold eheheh! 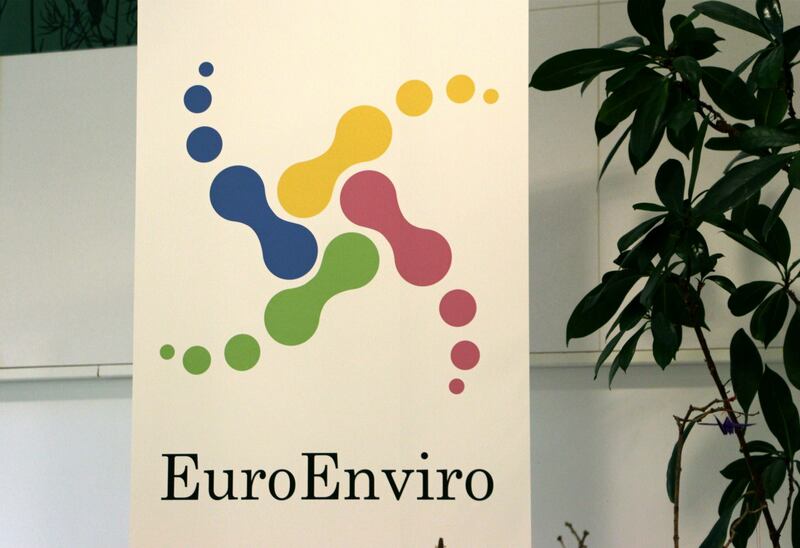 Few months ago our University suggested us to apply for a project called EuroEnviro. After that, I was having a talk with some of my classmates and we decided to send our application request. I took it as a game and I ironically thought “Yeah sure they will choose me”, but the day I received the letter of acceptance I remember I was so excited that I could not believe it. I did not have expectations at all before arriving in Göteborg (where the international meeting took place), because I really did not know what to imagine about this project, but I had the good feeling that something special would have happened. In the exact moment we landed and I saw all that green around me, that peace and calmness, I felt so good. Since we arrived at the hostel and we met the other guys taking part in the Symposium, we already started to be a friendly group. I think we were the right people in the right place at a perfect moment. The first day I did not sleep so much to catch the early flight from Bologna in time. I was super tired, but I tried to enjoy the moments as much as I could since the beginning with the welcome international dinner. The week spent there has been amazing, enriching and unforgettable. All the student members were really open-minded and skilled and we came up with a lot of meaningful ideas. Thanks to this project we have felt that nothing is impossible. All the workshops were so inspiring and the important part was that we the students, with our brains, we were working on ideas and possible solutions to achieve sustainability somehow. We were in touch with the reality and not only with boring and old-fashioned theoretical manuals. However, I really appreciated the high value the presenters of the seminars and the project coordinators have put on our personal thoughts, our insights, our motivation… simply on ourselves as individuals able to break the mould and build something innovative! We were defined as Catalysts of Change. I think everyone needs to feel motivated and if someone is capable of having an interesting project in mind, it is necessary that this idea is analyzed and maybe developed. This is what in the Italian Education System is still missing. The importance of the students. The Italian system is even now anchored to a “hierarchical” division between the professors at the top and the students at the bottom, the poor stupid ones who only have to follow the teachers’ dictatorship. For all these reasons, what I really loved of that experience (and in general of the Swedish system) is the equality principle they preserve and the total absence of hierarchical order: everyone is important, nobody is irreplaceable. I believe humans themselves with their thoughts, their strengths-weaknesses and their abilities come before every other material aspect. At the end of this experience, each of us has felt motivated and inspired (some of the topic values highly mentioned during the “working-week”), and has found out that a concrete objective in life could be reached through our will. During the seminar about Leadership I truly enjoyed the possibility we have had to know better ourselves and the “guy next to us”. My final consideration about this Symposium Days is that I got really impressed by the power of the brain, when we let it work in the appropriate way and I collected huge amounts of optimism about the future.